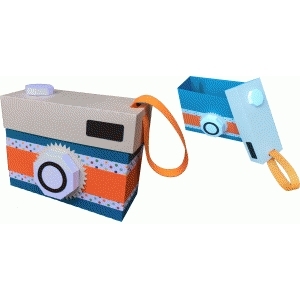 To assemble the camera lens and shutter button, fold along all score lines. Use hot glue to attach the tabs to each side of the hexagon. Fold the four extending tabs in, apply glue then press down on camera body.